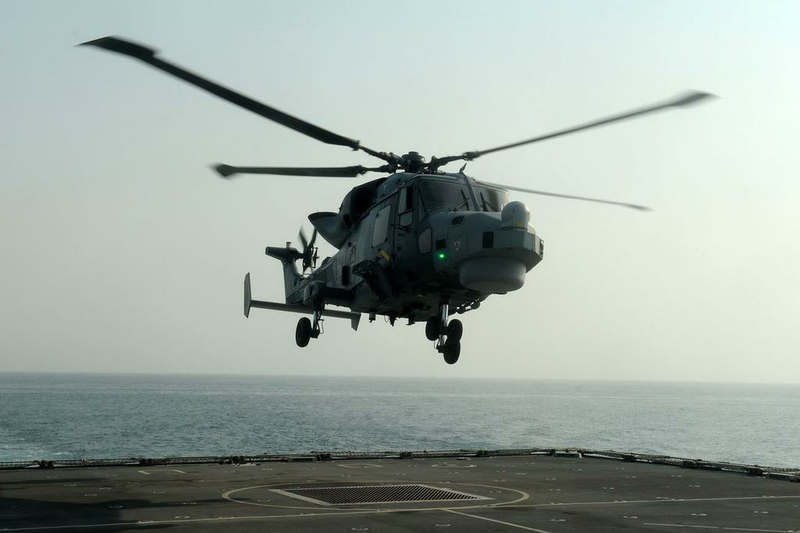 Punishing conditions were not a problem for the Royal Navy’s newest helicopter as it was tested for the first time in the searing heat of the Gulf by a naval team from Portsmouth. Wildcat – which will provide the aerial eyes and punch of British destroyers and frigates for a generation – spent a fortnight flying in the Middle East during key trials with the Portsmouth-based destroyer HMS Duncan. It is the first time the new helicopter has experienced such extreme heat, with the mercury rising to 45 degrees C.